Franz Peter Schubert (German pronunciation: ; 31 January 1797 – 19 November 1828) was an Austrian composer. Schubert died at 31 but was extremely prolific during his lifetime. His output consists of over six hundred secular vocal works (mainly Lieder), seven complete symphonies, sacred music, operas, incidental music and a large body of chamber and piano music. Appreciation of his music while he was alive was limited to a relatively small circle of admirers in Vienna, but interest in his work increased significantly in the decades following his death. Felix Mendelssohn, Robert Schumann, Franz Liszt, Johannes Brahms and other 19th-century composers discovered and championed his works. Today, Schubert is ranked among the greatest composers of the late Classical era and early Romantic era and is one of the most frequently performed composers of the early nineteenth century. Schubert was born in Himmelpfortgrund (now a part of Alsergrund), Vienna, Archduchy of Austria on 31 January 1797. His father, Franz Theodor Schubert, the son of a Moravian peasant, was a parish schoolmaster; his mother, Elisabeth (Vietz), was the daughter of a Silesian master locksmith and had been a housemaid for a Viennese family before her marriage. Of Franz Theodor's fourteen children (one of them illegitimate, born in 1783), nine died in infancy. Their father was a well-known teacher, and his school in Lichtental (in Vienna's ninth district) had numerous students in attendance. He was not recognized or even formally trained as a musician, but was able to pass on certain musical basics to his gifted son. At the age of six, Franz began to receive regular instruction from his father and a year later was enrolled at his father's school. His formal musical education also started around the same time. His father taught him basic violin technique, and his brother Ignaz gave him piano lessons. At the age of seven, he was given his first lessons outside the family by Michael Holzer, organist and choirmaster of the local parish church in Lichtental, lessons which may have largely consisted of conversations and expressions of admiration. The boy seemed to gain more from his acquaintance with a friendly joiner's apprentice who used to take him to a neighboring pianoforte warehouse where he could practice on better instruments. He also played viola in the family string quartet, with brothers Ferdinand and Ignaz on first and second violin and his father on the violoncello. He wrote his earliest string quartets for this ensemble. Young Schubert first came to the attention of Antonio Salieri, then Vienna's leading musical authority, in 1804, when his vocal talent was recognized. In October 1808, he became a pupil at the Stadtkonvikt (Imperial Seminary) through a choir scholarship. At the Stadtkonvikt, he was introduced to the overtures and symphonies of Mozart and the symphonies of Joseph and Michael Haydn. His exposure to these and lesser works, combined with occasional visits to the opera, laid the foundation for a broader musical education. One important musical influence came from the songs of Johann Rudolf Zumsteeg, who was an important Lieder composer of the time, which, his friend Joseph von Spaun reported, the precocious young student "wanted to modernize". Schubert's friendship with Spaun began at the Stadtkonvikt and lasted throughout his short life. In those early days, the financially well-off Spaun furnished the impoverished Schubert with much of his manuscript paper. In the meantime, his genius began to show in his compositions. Schubert was occasionally permitted to lead the Stadtkonvikt's orchestra, and Salieri decided to start training him privately in music theory and even in composition. It was the first orchestra he wrote for, and he devoted much of the rest of his time at the Stadtkonvikt to composing chamber music, several songs, piano pieces and, more ambitiously, liturgical choral works in the form of a "Salve Regina" (D 27), a "Kyrie" (D 31), in addition to an unfinished Wind Octet (D 72, said to commemorate the 1812 death of his mother), the cantata "Wer ist groß?" for male voices and orchestra (D 110, for his father's birthday in 1813), and his first symphony (D 82). At the end of 1813, he left the Stadtkonvikt and returned home for teacher training at the Normalhauptschule. In 1814, he entered his father's school as teacher of the youngest pupils. For over two years young Schubert endured such drudgery, dragging himself through it with resounding indifference. There were, however, compensatory interests even then. He continued to take private lessons in composition from Salieri, who gave Schubert more actual technical training than any of his other teachers, before they parted ways in 1817. In 1814, Schubert met a young soprano named Therese Grob, daughter of a local silk manufacturer and wrote several of his liturgical works (including a "Salve Regina" and a "Tantum Ergo") for her; she also was a soloist in the premiere of his first Mass (D 105) in September 1814. Schubert wanted to marry her, but was hindered by the harsh marriage-consent law of 1815 requiring an aspiring bridegroom to show he had the means to support a family. In November 1816, after failing to gain a musical post in Laibach, Schubert sent Grob's brother Heinrich a collection of songs retained by the family into the twentieth century. One of Schubert's most prolific years was 1815. He composed over 20,000 bars of music, more than half of which was for orchestra, including nine church works (despite being agnostic), a symphony, and about 140 Lieder. In that year, he was also introduced to Anselm Hüttenbrenner and Franz von Schober, who would become his lifelong friends. Another friend, Johann Mayrhofer, was introduced to him by Spaun in 1814. Maynard Solomon suggested that Schubert was erotically attracted to men, a thesis that has, at times, been heatedly debated. Musicologist and Schubert expert Rita Steblin claimed that he was "chasing women". Significant changes happened in 1816. 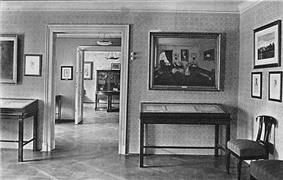 Schober, a student of good family and some means, invited Schubert to room with him at his mother's house. The proposal was particularly opportune, for Schubert had just made the unsuccessful application for the post of Kapellmeister at Laibach, and he had also decided not to resume teaching duties at his father's school. By the end of the year, he became a guest in Schober's lodgings. For a time, he attempted to increase the household resources by giving music lessons, but they were soon abandoned, and he devoted himself to composition. "I compose every morning, and when one piece is done, I begin another." During this year, he focused on orchestral and choral works, although he also continued to write Lieder (songs). Much of this work was unpublished, but manuscripts and copies circulated among friends and admirers. In early 1817, Schober introduced Schubert to Johann Michael Vogl, a prominent baritone twenty years Schubert's senior. Vogl, for whom Schubert went on to write a great many songs, became one of Schubert's main proponents in Viennese musical circles. He also met Joseph Hüttenbrenner (brother to Anselm), who also played a role in promoting Schubert's music. These, and an increasing circle of friends and musicians, became responsible for promoting, collecting, and, after his death, preserving his work. Schubert spent the summer of 1818 as music teacher to the family of Count Johann Karl Esterházy at their château in Zseliz (then in Austria, now in Slovakia). His duties were relatively light (teaching piano and singing to the two daughters, Marie and Karoline), and the pay was relatively good. As a result, he happily continued to compose during this time. It may have been at this time that he wrote one of his now world-famous compositions, the Marche Militaire in D major (D 733 no. 1). Marie and Karoline both being his piano students, and the original score of "Marche Militaire" being a piano duet, lend credence to this view. On his return from Zseliz, he took up residence with his friend Mayrhofer. The respite at Zseliz led to a succession of compositions for piano duet. 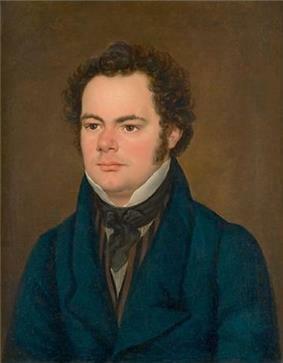 During the early 1820s, Schubert was part of a close-knit circle of artists and students who had social gatherings together that became known as "Schubertiaden". The tight circle of friends with which Schubert surrounded himself was dealt a blow in early 1820. Schubert and four of his friends were arrested by the Austrian police, who (in the aftermath of the French Revolution and Napoleonic Wars) were on their guard against revolutionary activities and suspicious of any gathering of youth or students. One of Schubert's friends, Johann Senn, was put on trial, imprisoned for over a year, and then permanently forbidden to enter Vienna. The other four, including Schubert, were "severely reprimanded", in part for "inveighing against [officials] with insulting and opprobrious language". While Schubert never saw Senn again, he did set some of his poems, "Selige Welt" (D 743) and "Schwanengesang" (D 744), to music. The incident may have played a role in a falling-out with Mayrhofer, with whom he was living at the time. He was nicknamed "Schwämmerl" by his friends, which Gibbs describes as translating to "Tubby" or "Little Mushroom". 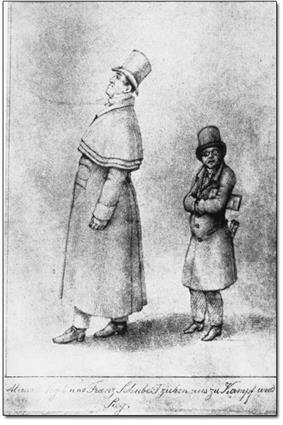 Schubert, at 1.52 m height, was not quite five feet tall. "Schwammerl" is Austrian (and other) dialect for mushroom; the umlaut makes it a diminutive. The compositions of 1819 and 1820 show a marked advance in development and maturity of style. The unfinished oratorio "Lazarus" (D 689) was begun in February; later followed, amid a number of smaller works, by the Hymn "Der 23. Psalm" (D 706), the Octet "Gesang der Geister über den Wassern" (D 714), the Quartettsatz in C minor (D 703), and the Fantasy in C major for piano Wanderer Fantasy (D 760). Of most notable interest is the staging in 1820 of two of Schubert's operas: "Die Zwillingsbrüder" (D 647) appeared at the Theater am Kärntnertor on 14 June, and "Die Zauberharfe" (D 644) appeared at the Theater an der Wien on 21 August. Hitherto, his larger compositions (apart from his masses) had been restricted to the amateur orchestra at the Gundelhof, a society which grew out of the quartet-parties at his home. Now he began to assume a more prominent position, addressing a wider public. Publishers, however, remained distant, with Anton Diabelli hesitantly agreeing to print some of his works on commission. The first seven opus numbers (all songs) appeared on these terms; then the commission ceased, and he began to receive the meager pittances which were all that the great publishing houses ever paid him. The situation improved somewhat in March 1821 when Vogl performed the song "Der Erlkönig" (D 328) at a concert that was extremely well received. That month, Schubert composed a Variation on a Waltz by Diabelli (D 718), being one of the fifty composers who contributed to the "Vaterländischer Künstlerverein". The production of the two operas turned Schubert's attention more firmly than ever in the direction of the stage, where, for a variety of reasons, he was almost completely unsuccessful. All in all, he embarked on twenty stage projects, each of them failures which were quickly forgotten. In 1822, "Alfonso und Estrella" was refused, partly owing to its libretto. "Fierabras" (D 796) was rejected in the fall of 1823, but this was largely due to the popularity of Rossini and the Italian operatic style, and the failure of Carl Maria von Weber's "Euryanthe". "Die Verschworenen" ("The Conspirators", D 787) was prohibited by the censor (apparently on the grounds of its title), and "Rosamunde, Fürstin von Zypern" (D 797) was withdrawn after two nights, owing to the poor quality of the play for which Schubert had written incidental music. Of these works, the two former ones are written on a scale which would make their performances exceedingly difficult ("Fierabras", for instance, contains over 1,000 pages of manuscript score), but "Die Verschworenen" is a bright attractive comedy, and "Rosamunde" contains some of the most charming music that Schubert ever composed. In 1822, he made the acquaintance of both Weber and Beethoven, but little came of it in either case. Beethoven is said to have acknowledged the younger man's gifts on a few occasions, but some of this is likely legend and in any case he could not have known the real scope of Schubert's music – especially not the instrumental works – as so little of it was printed or performed in the composer's lifetime. On his deathbed, Beethoven is said to have looked into some of the younger man's works and exclaimed, "Truly, the spark of divine genius resides in this Schubert!" but what would have come of it if he had recovered we can never know. 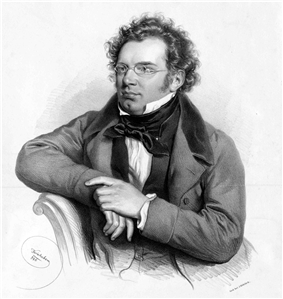 Despite his preoccupation with the stage, and later with his official duties, Schubert found time during these years for a significant amount of composition. He completed the Mass in A-flat major (D 678) and, in 1822, embarked suddenly on a work which more decisively than almost any other in those years showed his maturing personal vision, the Symphony in B minor Unfinished (D 759). The reason he left it unfinished after two movements and sketches some way into a third remains an enigma, and it is also remarkable that he did not mention it to any of his friends even though, as Brian Newbould notes, he must have felt thrilled by what he was achieving. The event has been debated endlessly without resolution. In 1823 Schubert, in addition to "Fierrabras", also wrote his first large-scale song cycle, "Die schöne Müllerin" (D 795), setting poems by Wilhelm Müller. This series, together with the later cycle "Winterreise" (D 911, also setting texts of Müller in 1827) is widely considered one of the pinnacles of Lieder. He also composed the song "Du bist die Ruh" ("You are stillness/peace", D 776) during this year. Also in that year, symptoms of syphilis first appeared. Song "Ellens Gesang III (Hymne an die Jungfrau)", D 839 "Ave Maria" or "Hymne an die Jungfrau"
The setbacks of previous years were compensated by the prosperity and happiness of 1825. Publication had been moving more rapidly; the stress of poverty was for a time lightened; and in the summer he had a pleasant holiday in Upper Austria, where he was welcomed with enthusiasm. It was during this tour that he produced his Sieben Gesänge aus Walter Scotts 'Fräulein am See' (Seven Songs from Walter Scott's Lady of the Lake). This cycle contains the song "Ellens Gesang III (Hymne an die Jungfrau)" (D 839), a setting of Adam Storck's German translation of Scott's hymn, which is widely, though mistakenly, referred to as Schubert's "Ave Maria". It opens with the greeting "Ave Maria", which recurs in the refrain; the entire Scott/Storck text in Schubert's song is frequently substituted with the complete Latin text of the traditional "Ave Maria" prayer. In 1825, Schubert also wrote the Piano Sonata in A minor (D 845, first published as op. 42), and began the Symphony in C major Great C major D 944), which was completed the following year. 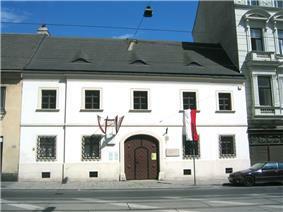 From 1826 to 1828, Schubert resided continuously in Vienna, except for a brief visit to Graz in 1827. The history of his life during these three years was comparatively uninteresting, and is little more than a record of his compositions. In 1826, he dedicated a symphony (D 944, that later came to be known as the Great C major) to the Gesellschaft der Musikfreunde and received an honorarium in return. In the spring of 1828, he gave, for the only time in his career, a public concert of his own works, which was very well received. The compositions themselves are a sufficient biography. The String Quartet in D minor (D 810), with the variations on "Death and the Maiden", was written during the winter of 1825–1826, and first played on 25 January 1826. Later in the year came the String Quartet in G major, (D 887, first published as op. 161), the Rondo in B minor for violin and piano Rondeau brillant, and the Piano Sonata in G major (D 894, first published as op. 78 under the title "Fantasie in G"). To these should be added the three Shakespearian songs, of which "Ständchen" (D 889) and "An Sylvia" (D 891) were allegedly written on the same day, the former at a tavern where he broke his afternoon's walk, the latter on his return to his lodging in the evening. In 1827, Schubert wrote the song cycle "Winterreise" (D 911), a colossal peak in art song ("remarkable" was the way it was described at the Schubertiades), the Fantasy in C major for violin and piano (D 934, first published as op. post. 159), the Impromptus for piano, and the two piano trios (the first in B-flat major (D 898), and the second in E-flat major, (D 929); in 1828 the cantata "Mirjams Siegesgesang" ("Song of Miriam", D 942) on a text by Franz Grillparzer, the Mass in E-flat major (D 950), the "Tantum Ergo" (D 962) in the same key, the String Quintet in C major (D 956), the second "Benedictus" to the Mass in C major (D 452), the three final piano sonatas (D 958, D 959 and D 960), and the song cycle "13 Lieder nach Gedichten von Rellstab und Heine" for voice and piano, also known as "Schwanengesang" ("Swan-song", D 957). This collection, while not a true song cycle, retains a unity of style amongst the individual songs, touching depths of tragedy and of the morbidly supernatural which had rarely been plumbed by any composer in the century preceding it. Six of these are set to words by Heinrich Heine, whose Buch der Lieder appeared in the autumn. The Symphony in C major (D 944) is dated 1828, but Schubert scholars believe that this symphony was largely written in 1825–1826 (being referred to while he was on holiday at Gastein in 1825 – that work, once considered lost, is now generally seen as an early stage of his C major symphony) and was revised for prospective performance in 1828. This huge, Beethovenian work was declared "unplayable" by a Viennese orchestra. This was a fairly unusual practice for Schubert, for whom publication, let alone performance, was rarely contemplated for most of his larger-scale works during his lifetime. In the last weeks of his life, he began to sketch three movements for a new Symphony in D major (D 936 A). This Impromptu is a theme and variations based on a theme from Rosamunde. Performed by Randolph Hokanson. The works of his last two years reveal a composer increasingly meditating on the darker side of the human psyche and human relationships, and with a deeper sense of spiritual awareness and conception of the 'beyond'. He reaches extraordinary depths in several chillingly dark songs of this period, especially in the larger cycles. For example, the song "Der Doppelgänger" (D 957 no. 13, "The double") reaching an extraordinary climax, conveying madness at the realization of rejection and imminent death – a stark and visionary picture in sound and words that had been prefigured a year before by "Der Leiermann" (D 911 no. 24, "The Hurdy-Gurdy Man") at the end of "Winterreise" – and yet the composer is able to touch repose and communion with the infinite in the almost timeless ebb and flow of the String Quintet and his last three piano sonatas, moving between joyful, vibrant poetry and remote introspection. Even in large-scale works he was sometimes using increasingly sparse textures; Newbould cites his writing in the fragmentary Symphony in D major (D 936 A), probably the work of his very last two months. In this work, he anticipates Mahler's use of folksong-like harmonics and bare soundscapes. Schubert expressed the wish, were he to survive his final illness, to further develop his knowledge of harmony and counterpoint, and had actually made appointments for lessons with the counterpoint master Simon Sechter. In the midst of this creative activity, his health deteriorated. The cause of his death was officially diagnosed as typhoid fever, though other theories have been proposed, including the tertiary stage of syphilis. By the late 1820s, Schubert's health was failing and he confided to some friends that he feared that he was near death. 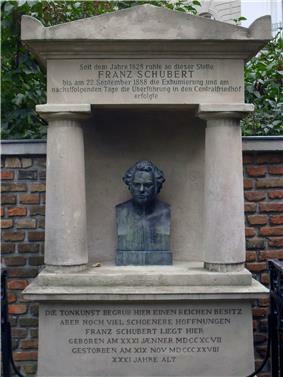 In the late summer of 1828, the composer saw court physician Ernst Rinna, who may have confirmed Schubert's suspicions that he was ill beyond cure and likely to die soon. Some of his symptoms matched those of mercury poisoning (mercury was then a common treatment for syphilis, again suggesting that Schubert suffered from it). At the beginning of November, he again fell ill, experiencing headaches, fever, swollen joints, and vomiting. He was generally unable to retain solid food and his condition worsened. 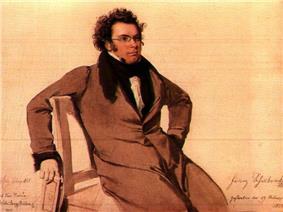 Schubert died in Vienna, at age 31, on 19 November 1828, at the apartment of his brother Ferdinand. The last musical work he had wished to hear was Beethoven's String Quartet No. 14 in C-sharp minor, Op. 131; his friend, violinist Karl Holz, who was present at the gathering, five days before Schubert's death, commented: "The King of Harmony has sent the King of Song a friendly bidding to the crossing". It was next to Beethoven, whom he had admired all his life, that Schubert was buried by his own request, in the village cemetery of Währing. 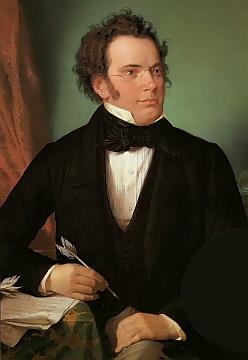 Schubert was remarkably prolific, writing over 1,500 works in his short career. The largest number of these are songs for solo voice and piano (over 600). He also composed a considerable number of secular works for two or more voices, namely part songs, choruses and cantatas. He completed eight orchestral overtures and seven complete symphonies, in addition to fragments of six others. While he composed no concertos, he did write three concertante works for violin and orchestra. There is a large body of music for solo piano, including fourteen complete sonatas, numerous miscellaneous works and many short dances. There is also a relatively large set of works for piano duet. There are over fifty chamber works, including some fragmentary works. His sacred output includes seven masses, one oratorio and one requiem, among other mass movements and numerous smaller compositions. He completed only eleven of his twenty stage works. In July 1947 the 20th-century composer Ernst Krenek discussed Schubert's style, abashedly admitting that he had at first "shared the wide-spread opinion that Schubert was a lucky inventor of pleasing tunes ... lacking the dramatic power and searching intelligence which distinguished such 'real' masters as J.S. Bach or Beethoven". Krenek wrote that he reached a completely different assessment after close study of Schubert's songs at the urging of friend and fellow composer Eduard Erdmann. Krenek pointed to the piano sonatas as giving "ample evidence that [Schubert] was much more than an easy-going tune-smith who did not know, and did not care, about the craft of composition." Each sonata then in print, according to Krenek, exhibited "a great wealth of technical finesse" and revealed Schubert as "far from satisfied with pouring his charming ideas into conventional molds; on the contrary he was a thinking artist with a keen appetite for experimentation." That "appetite for experimentation" manifests itself repeatedly in Schubert's output in a wide variety of forms and genres, including opera, liturgical music, chamber and solo piano music, and symphonic works. Perhaps most familiarly, his adventurousness manifests itself as a notably original sense of modulation, as in the second movement of the String Quintet (D 956), where he modulates from E major, through F minor, to reach the tonic key of E major. It also appears in unusual choices of instrumentation, as in the Sonata in A minor for arpeggione and piano (D 821), or the unconventional scoring of the Trout Quintet (D 667). While he was clearly influenced by the Classical sonata forms of Beethoven and Mozart (his early works, among them notably the 5th Symphony, are particularly Mozartean), his formal structures and his developments tend to give the impression more of melodic development than of harmonic drama. This combination of Classical form and long-breathed Romantic melody sometimes lends them a discursive style: his Great C major Symphony was described by Robert Schumann as running to "heavenly lengths". His harmonic innovations include movements in which the first section ends in the key of the subdominant rather than the dominant (as in the last movement of the Trout Quintet). Schubert's practice here was a forerunner of the common Romantic technique of relaxing, rather than raising, tension in the middle of a movement, with final resolution postponed to the very end. It was in the genre of the Lied, however, that Schubert made his most indelible mark. Leon Plantinga remarks, "In his more than six hundred Lieder he explored and expanded the potentialities of the genre as no composer before him." Prior to Schubert's influence, Lieder tended toward a strophic, syllabic treatment of text, evoking the folksong qualities engendered by the stirrings of Romantic nationalism. Among Schubert's treatments of the poetry of Goethe, his settings of "Gretchen am Spinnrade" (D 118) and "Der Erlkönig" (D 328) are particularly striking for their dramatic content, forward-looking uses of harmony, and their use of eloquent pictorial keyboard figurations, such as the depiction of the spinning wheel and treadle in the piano in "Gretchen" and the furious and ceaseless gallop in "Erlkönig". He composed music using the poems of a myriad of poets, with Goethe, Mayrhofer and Schiller being the top three most frequent, and others like Heinrich Heine, Friedrich Rückert and Joseph Freiherr von Eichendorff among many others. Also of particular note are his two song cycles on the poems of Wilhelm Müller, "Die schöne Müllerin" and "Winterreise", which helped to establish the genre and its potential for musical, poetic, and almost operatic dramatic narrative. His last song cycle published in 1828 after his death, "Schwanengesang", is also an innovative contribution to German lieder literature, as it features poems by different poets, namely Ludwig Rellstab, Heine, and Johann Gabriel Seidl. The Wiener Theaterzeitung, writing about "Winterreise" at the time, commented that it was a work that "none can sing or hear without being deeply moved". Antonín Dvořák wrote in 1894 that Schubert, whom he considered one of the truly great composers, was clearly influential on shorter works, especially Lieder and shorter piano works: "The tendency of the romantic school has been toward short forms, and although Weber helped to show the way, to Schubert belongs the chief credit of originating the short models of piano forte pieces which the romantic school has preferably cultivated. [...] Schubert created a new epoch with the Lied. [...] All other songwriters have followed in his footsteps." Schubert's compositional style progressed rapidly throughout his short life. A feeling of regret for the loss of potential masterpieces caused by his early death at age 31 was expressed in the epitaph on his large tombstone written by his friend the poet Franz Grillparzer: "Here music has buried a treasure, but even fairer hopes." Some have disagreed with this early view, arguing that Schubert in his lifetime did produce enough masterpieces not to be limited to the image of an unfulfilled promise. This is in particular the opinion of pianists, including Alfred Brendel, who dryly billed the Grillparzer epitaph as "inappropriate". Schubert's chamber music continues to be popular. In a poll, the results of which were announced in October 2008, the ABC in Australia found that Schubert's chamber works dominated the field, with the Trout Quintet coming first, followed by two of his other works. You have to love the guy, who died at 31, ill, impoverished and neglected except by a circle of friends who were in awe of his genius. For his hundreds of songs alone – including the haunting cycle “Winterreise”, which will never release its tenacious hold on singers and audiences – Schubert is central to our concert life.... Schubert's first few symphonies may be works in progress. But the Unfinished and especially the Great C major Symphony are astonishing. The latter one paves the way for Bruckner and prefigures Mahler. Some of his smaller pieces were printed shortly after his death, but the manuscripts of many of the longer works, whose existence was not widely known, remained hidden in cabinets and file boxes of Schubert's family, friends, and publishers. Even some of Schubert's friends were unaware of the full scope of what he wrote, and for many years he was primarily recognized as the "prince of song", although there was recognition of some of his larger-scale efforts. In 1838 Grove Dictionary of Music and Musicians) and Arthur Sullivan made in the autumn of 1867. The travellers rescued from oblivion seven symphonies, the "Rosamunde" incidental music, some of the masses and operas, several chamber works, and a vast quantity of miscellaneous pieces and songs. This led to more widespread public interest in Schubert's work. From the 1830s through the 1870s, Franz Liszt transcribed and arranged a number of Schubert's works, particularly the songs. Liszt, who was a significant force in spreading Schubert's work after his death, said Schubert was "the most poetic musician who ever lived." Schubert's symphonies were of particular interest to Antonín Dvořák, with Hector Berlioz and Anton Bruckner acknowledging the influence of the Great C major Symphony. Ernst Hilmar, Otto Brusatti (eds., mit einer Einleitung von Walter Obermaier): Franz Schubert. Ausstellung der Wiener Stadt- und Landesbibliothek zum 150. Todestag des Komponisten. Katalog. Wien 1978. Alexander Stillmark: "'Es war alles gut und erfuellt'. Rudolf Hans Bartsch's Schwammwerl and the Making of the Schubert Myth", in: The Biedermeier and Beyond, edited by Ian F. Roe/John Warren, Peter Lang, Bern, Berlin, Frankfurt/M, 1999. Deutsch, Otto Erich; Wakeling, Donald R. (1995). The Schubert Thematic Catalogue. Courier Dover Publications. Schubert, Franz; Deutsch, Otto Erich; Savile, Venetia (translator) (1928). Franz Schubert's Letters and Other Writings. A. A. Knopf. Kahl, Willi (1938). Verzeichnis des Schrifttums über Franz Schubert 1828–1928. Bosse Regensburg. Hilmar, Ernst. Bausteine zu einer neuen Schubert-Bibliographie vornehmlich der Schriften von 1929 bis 2000. Teil I: Alphabetische Ordnung nach Autoren. 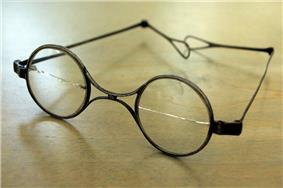 In: Schubert durch die Brille No. 25, (2000), p. 95–303 (Supplements and Index in No. 26, 27). Hans Schneider Tutzing. Gerlich, Thomas (2001). Schubert-Bibliographie (since 1999). In: Schubert : Perspektiven. Steiner Stuttgart. McKay, Elizabeth Norman (1991). Franz Schubert's music for the theatre. H. Schneider. McKay, Elizabeth Norman (1996). Franz Schubert: A Biography. Oxford University Press. Newbould, Brian (1997). Schubert: The Music and the Man. University of California Press. Newbould, Brian (1998). Schubert Studies. Ashgate. Newbould, Brian (1992). Schubert and the Symphony: A New Perspective. Toccata Press. Newbould, Brian (2003). Schubert the Progressive: History, Performance Practice, Analysis. Ashgate. Otto Erich Deutsch, working in the first half of the 20th century, was probably the preeminent scholar of Schubert's life and music. In addition to the catalogue of Schubert's works, he collected and organized a great deal of material about Schubert, some of which is still in print. Schubert, Franz (1996). Symphony, No 7, D 759, B minor, "Unfinished" (in German). Bärenreiter. German-language publication of the Unfinished Symphony score as No. 7. Schubert, Franz (2008). Symphony No. 7 in B minor D 759 Unfinished Symphony. Eulenburg Audio+Score Series. Eulenburg. English-language publication of the Unfinished Symphony score as No. 7. Schubert, Franz; Reichenberger, Teresa (1986). Symphony No. 8 in B minor, D. 759 Unfinished (Paperback). English-language publication of the Unfinished Symphony score as No. 8. The following citations illustrate the confusion around the numbering of Schubert's late symphonies. The B minor Unfinished Symphony is variously published as No. 7 and No. 8, in both German and English. All of these editions appeared to be in print (or at least somewhat readily available) in 2008. Brown, A. Peter (2002). The Symphonic Repertoire. Indiana University Press. Ewen, David (2007). Composers of Yesterday. READ BOOKS. Gammond, Peter (1982). Schubert. London: Methuen. Gibbs, Christopher H. (2000). The Life of Schubert. Cambridge University Press. Gibbs, Christopher H. [ed.] (1997). The Cambridge Companion to Schubert. Cambridge University Press. Lev, Ray (1947). Franz Schubert – Piano Sonata no. 15 in C major (Unfinished); Allegretto in C minor – Ray Lev, Pianist (78 RPM). United States: Concert Hall Society. Release B3. Lindmayr-Brandl, Andrea (2003). Franz Schubert: Das fragmentarische Werk (in German). Franz Steiner Verlag. Liszt, Franz; Suttoni, Charles (translator, contributor) (1989). An Artist's Journey: Lettres D'un Bachelier ès Musique, 1835–1841. University of Chicago Press. McClary, Susan (1994). "Constructions of Subjectivity in Franz Schubert's Music". In Brett, Philip; Wood, Elizabeth; Thomas, Gary. Queering the Pitch: The New Gay and Lesbian Musicology. Routledge. Newbould, Brian (1999). Schubert: The Music and the Man. University of California Press. Schonberg, Harold C (1997). The Lives of the Great Composers. W. W. Norton. Smith, Jane Stuart; Carlson, Betty; Schaeffer, Francis A (1995). The Gift of Music: Great Composers and Their Influence. Good News Publishers. Swafford, Jan (1992). The Vintage Guide to Classical Music. Vintage Books. Austin, George Lowell (1873). The Life of Franz Schubert. Shepard and Gill. Duncan, Edmondstoune (1905). Schubert. J.M. Dent. Dvořák, Antonín (July 1894). "Franz Schubert". Century Illustrated Magazine (Cairns Collection of American Women Writers) 48 (3). Frost, Henry Frederic (1915). Schubert. Scribner. Grove, George; Fuller-Maitland, John Alexander (1908). Grove's Dictionary of Music and Musicians, volume 4. Macmillan. Rodenberg, Julius; Pechel, Rudolf (1900). Deutsche Rundschau, volume 102 (Jan–Mar 1900) (in German). Gebrüder Paetel. Thayer, Alexander Wheelock; Krehbiel, Henry E.; Deiters, Hermann; Riemann, Hugo (1921). The Life of Ludwig Van Beethoven: vol 3. New York: The Beethoven Association. "Musical Times" 38. Novello. February 1897. Kreissle von Hellborn, Heinrich (1865). Franz Schubert. Carl Gerold's Sohn. The first significant biography of Schubert. This edition is available at German Google Books. English translations and abridgements of this biography from the 1860s are available at (roughly, volume 1 of Kreissle) .Franz Schubert, a musical biography, from the German (abridged)Kreissle von Hellborn, Heinrich; Wilberforce, Edward (translator) (1866). ^ Elizabeth Norman McKay (1996). Franz Schubert: a biography. Clarendon Press. p. 308. ^ Arthur Hutchings (1967). Church Music in the Nineteenth Century. London: Oxford University Press. p. 166. ^ Solomon, M. (1989): "Franz Schubert and the peacocks of Benvenuto Cellini. 19th-Century Music 12, pp. 193–206. ^ "Schubert: Music, Sexuality, Culture." 19th-Century Music, 1993, 17:3–101. ^ Steblin, Rita (1993): "The Peacock's Tale: Schubert's Sexuality Reconsidered." 19th-Century Music. Berkeley, California: Univ. of California Press, ISSN 0148-2076, ZDB-ID 4395712, T 17., 1, pp. 5–33; Steblin, Rita (1996), Babette und Therese Kunz: neue Forschungen zum Freundeskreis um Franz Schubert und Leopold Kupelwieser, Wien: Vom Pasqualatihaus. ISBN/ISMN: 3901254161; Steblin, Rita (1997): "Schubert's 'Nina' and the True Peacocks}". The Musical Times 138, pp. 13–19; Steblin, Rita (1998): Die Unsinnsgesellschaft: Franz Schubert, Leopold Kupelwieser und ihr Freundeskreis. Böhlau. ISBN 3-205-98820-5; Steblin, Rita (2001): “Schubert's Problematic Relationship with Johann Mayrhofer: New Documentary Evidence”. Barbara Haggh (ed. ): Essays on Music and Culture in Honor of Herbert Kellman. Paris-Tours: Minerve, pp. 465–495; Steblin, Rita (2008), "Schubert's Pepi: His Love Affair with the Chambermaid Josepha Pöcklhofer and Her Surprising Fate". The Musical Times, pp. 47–69. ^ Hadow, William Henry (1911). 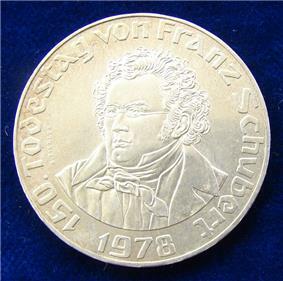 "Franz Schubert". Encyclopædia Britannica 24. London, New York: The Encyclopædia Britannica Company. p. 380. ^ Brian Newbould, Schubert: The Music and the Man, UCLA Press, 1997, discusses Schubert's medical history and his death; leans toward Schubert's contracting syphilis in 1822 and dying from it, while judging the evidence not quite conclusive announcing the test for syphilis. ^ Plantinga, Leon (1984). Romantic Music: A History of Musical Style in Nineteenth-Century Europe. Norton. p. 117. ^ "The Classical Music Chamber Music 100". Australian Broadcasting Co. Retrieved 24 August 2010. ^ See references below for citations containing different numbers for the 'Unfinished Symphony. ^ a b "Schubert Ecstasy". Time. 3 December 1928. Retrieved 8 April 2009. Since relatively few of Schubert's works were published in his lifetime, only a small number of them have opus numbers assigned, and even in those cases, the sequence of the numbers does not give a good indication of the order of composition. Austrian musicologist Otto Erich Deutsch (5 September 1883 – 23 November 1967) is known for compiling the first comprehensive catalogue of Schubert's works: "Franz Schubert, thematisches Verzeichnis seiner Werke in chronologischer Folge" (Franz Schubert: Thematic Catalogue of all his Works in Chronological Order). This was first published in English in 1951, and subsequently revised for a new edition in German, in 1978. Schubert has featured as a character in a number of films including Schubert's Dream of Spring (1931), Serenade (1940), The Great Awakening (1941), It's Only Love (1947), Franz Schubert (1953) and Das Dreimäderlhaus (1958). A reference to Franz Schubert (nicknamed "Franz the Hands") was made in the Doctor Who episode "Dinosaurs on a Spaceship" in which the Fantasy in F minor, D 940 for piano duet was played, with The Doctor responding when asked if he knew the piece, "say hello to hands three and four!" In 1977, the German electronic band Kraftwerk recorded a tribute song called "Franz Schubert" on their album Trans-Europe Express. In 1897, the 100th anniversary of Schubert's birth was marked in the musical world by festivals and performances dedicated to his music. In Vienna, there were ten days of concerts, and the Emperor Franz Joseph gave a speech recognizing Schubert as the creator of the art song, and one of Austria's favorite sons. Karlsruhe saw the first production of his opera "Fierabras". Grove and Sullivan also suggested that there may have been a "lost" symphony. Immediately before Schubert's death, his friend Eduard von Bauernfeld recorded the existence of an additional symphony, dated 1828 (although this does not necessarily indicate the year of composition) named the "Letzte" or "Last" symphony. Brian Newbould believes that the "Last" symphony refers to a sketch in D major (D 936A), identified by Ernst Hilmar in 1977, and which was realised by Newbould as the Tenth Symphony. The fragment was bound with other symphony fragments (D 615 and D 708A). As a consequence, generally available scores for the later symphonies may be published using conflicting numbers.